Get to the Know Theatre this Monday for Serials! 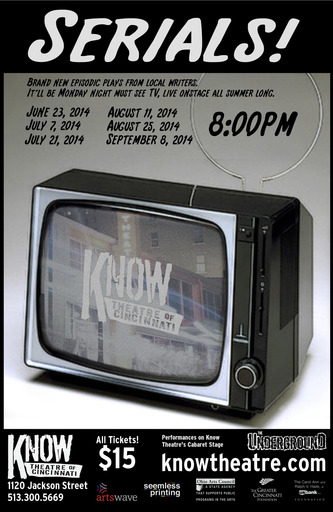 This summer the Know Theatre is embarking on a new exciting series called Serials! It brings 5 playwrights together to bring 5 different serial plays that run 15 minutes each every two weeks starting this Monday June 23rd and ending September 8th. Tickets are on sale here. While you are at it, why not just become a member of the Know?